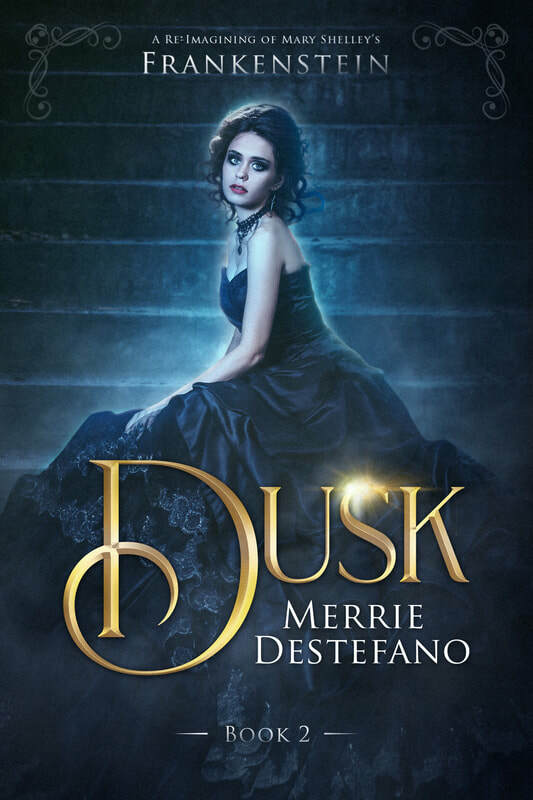 For fans of the Netflix program, THE FRANKENSTEIN CHRONICLES, AND I DARKEN by Kiersten White, SOMETHING STRANGE AND DEADLY by Susan Dennard, and BRAM STOKER'S DRACULA. My horse welcomed the open road, breaking into a gallop that lasted longer than I expected. We raced through rain, storm clouds rolling across the lake, lightning shooting out in fiery spikes. Overhead the sky darkened and the sun all but disappeared. I hoped I would arrive in Geneva in half an hour, despite the weather and the unending patches of mud that proved slippery with ice from time to time. We passed vineyards and orchards, all barren of fruit, all of them surrounded by two mountain chains—the Alps and the Jura, both craggy and snow-capped. We were enclosed in a magnificent landscape, one that should have made me breathless. Instead, it only angered and frightened me. My friends and I were so alone out here. So far from home. So far from anyone who cared whether we lived or died. I tried to stay focused on the road, but kept thinking about all the things I had been longing for on this holiday: lazy trips to local Medieval castles, days spent sailing across the lake, midnight readings of poetry written by Byron and Percy, hours spent with Percy, discussing our impending wedding. But our curse had followed us here. Without thinking, I began to grind my teeth together, accidentally biting my tongue. I didn’t realize what I was doing until my mouth began to fill with blood. I turned my head to the side and spit into the wind, drops of blood staining a nearby drift of snow. Was all lost? Would I find a cure for Percy? The clouds kept moving across the lake, changing its depths from blue to black, thunder echoing across the water and catching in mountain canyons until it sounded as if the whole world was an unending storm. Rain turned to snow and my cape was soaked, my skin nearly frozen. It felt like the only living thing left in the world besides me was the horse, its warm flesh steaming and its breath coming out in clouds of frost; it had slowed to a trot now, relentless hooves churning through mud, head straining at the reins, as if it was as eager to find an answer to all of this as I was. Shouldn’t there be others out and about on the road at this hour? All the farmhouses that dotted the hills were dark, shutters drawn. No smoke rose from hearth fires, no children played in yards, no servants carried wood or pails of water. There was a heaviness in the air that pressed down upon me, as if something was trying to chase away all hope. As darkness spread overhead, it felt as if great wings were covering the land, hastening the advent of dusk with a preternatural gloom. I clutched the horse’s reins in one firm hand, while I kept my other hand braced upon the rifle slung over my shoulder. Be ready, I kept telling myself, although I wasn’t sure why. Would something come at me from the fringe of trees that darkened the ridge up ahead? Or would it rise up from the near frozen depths of the lake to my right? The man-beast’s face was clearer in my mind now—for all the times I had sketched it—his eyes like fire, one hand stretched out as if beckoning me to join him. It was a handsome face, partially hidden in shadow, though moonlight had caressed full lips and exotic cheekbones, revealing skin pale as milk. Muscles could not hide beneath his flowing cape, nor could it hide his broad shoulders or the intelligence in his eyes. I had interpreted it all as the carriage of a predator, but perhaps I had been mistaken. That thing had definitely been a predator, hungry, insatiable, passionate. In many ways, it reminded me of Byron, how he eagerly preyed on the women he possessed, from his wife to his half-sister to Claire; all of these relationships had damaged his reputation until he had fled his own country. And yet, despite these things, a part of me would always be attracted to Byron. Was that what I was feeling toward that midnight beast? Some loathsome, undeniable attraction? I shuddered, but not from the incessant cold. At last, the village of Geneva began to appear in front of me—the city gates standing open, a handful of houses on the left, an inn and some shops up ahead. In my frantic haste to get here, I’d never actually formulated a plan. We needed a midwife and someone who could help with Percy’s affliction and, if possible, a servant or two, but I had no idea where to start looking. If I knew where Arjeta lived, I’d ask her, but I didn’t. I slowed the horse to a walk, moving past the cottages that dotted both sides of the road. Even though it was still daytime, everyone was indoors. The village looked deserted. My heart began to race when I thought that maybe no one was here, maybe they had left. But that didn’t make sense. “Whoa,” I said, steering the horse to a stop in front of the inn. I climbed down and then tied the reins to a hitching post, noticing how skittish the horse was. “It’s all right,” I said, running my palm over its withers, until the beast finally began to calm. I begin to wish that there was someone here to calm me. I half-expected the door to the inn to be locked, but the door swung open easily, revealing a dim room lit by a single oil lamp. A middle-aged woman sat at a nearby table, rifle across her lap. She startled when I walked in the door and she jumped to her feet, grabbing and then aiming the gun at me. Without thinking, I pulled my rifle from my shoulder and pointed the barrel at her, the two of us standing like that for almost a full minute. “We’re not taking any lodgers,” she said.